Stuff is constantly coming into our homes, so I've found it's good to stop as much as possible. For me the biggest thing is op shopping! I love op shopping and because everything is cheap, I buy way too much stuff. Instead of buying one shirt I buy four etc.! So I am staying out of op shops as much as possible. I have also put 'no junk mail' on our letterbox as there is a flow of unnecessary mail than comes in through the letterbox. Thinking twice about anything I buy and not feeling I have to keep everything I am given. It's nice and helpful to be given free stuff, but I don't have to keep what I'm not going to use. Where does all your clutter come from? 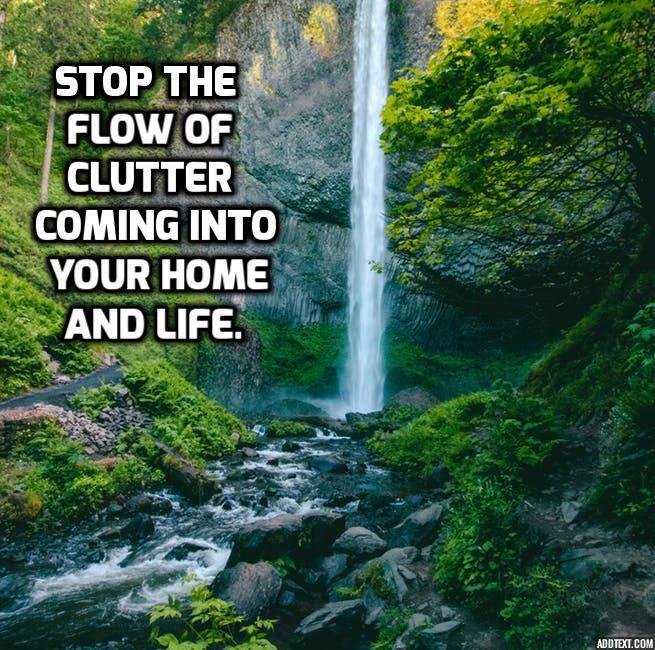 How could you stop or at least cut down on the flow that comes into your home?